Fathers are an ignored lot despite playing an equally important role in their children’s lives as the mother. While fathers provide the means and teach by example, children often forget to acknowledge that contribution to their lives, especially after achieving considerable independence in life. But, fathers are given their due on Father’s Day, the 15th of June every year. Here is a beautiful Father’s Day initiative by Scottish whisky brand Johnnie Walker Blue Label, called ‘Date with Dad’. As the name goes, the campaign will reward dates with dads so that you could spend some precious time with your dad this Father’s Day. But, it’s no ordinary date. 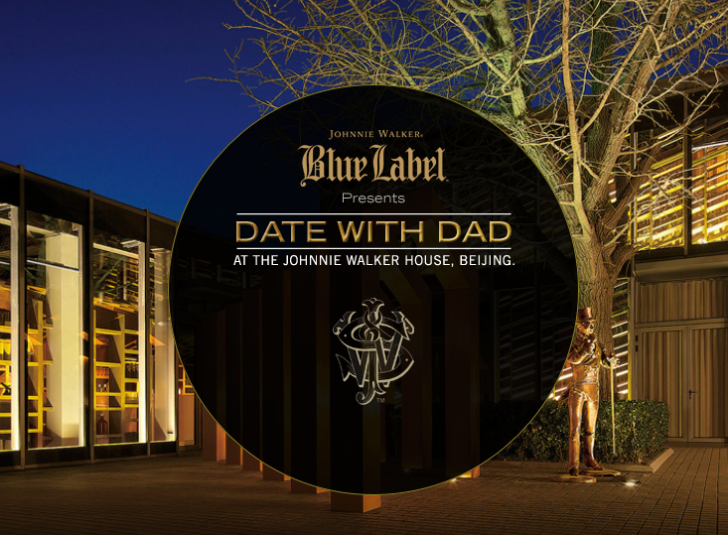 This Father’s Day, Johnnie Walker Blue Label wants to give you the chance to share a priceless experience with your father – an all-expense-paid trip for the two of you to the Johnnie Walker House in Beijing! The Johnnie Walker House in Beijing is claimed to be the world’s largest embassy for luxury Scotch whisky. And all you have to do is share the most memorable moment you’ve had with your dad; if your answer is interesting enough, you and your dad win the trip. Else, you could also win invites to an exclusive Johnnie Walker Blue Label evening in your city, that includes dinner and drinks on Father’s Day. The month-long campaign has been hosted on the ‘Date with Dad’ website that features the video and takes your entries. After you’ve entered your answer in not more than 110 characters to “What’s the most memorable moment you’ve shared with your father?, you will be prompted to fill in your name and other contact details like email and phone number. Social media has also been leveraged in “Date with Dad” campaign. The Johnnie Walker India Facebook page with 9.1 million fans has been inviting its fans to participate in the contest. However, the brand’s Twitter page does not seem to be active; the last update was on September 28. The other social integration I came across was the social sharing buttons of Facebook, Twitter and Pinterest embedded below the virtual tour video. The campaign could have been boosted through Twitter too. A cool Father’s Day initiative? Who wouldn’t look forward to an all-expense paid trip to the Johnnie Walker House with their dad? This Father’s Day campaign certainly scores on its experiential gratification and also for connecting with the right target group. Regular patrons of scotch whisky will love the visit to the luxury embassy, and while Johnnie Walker facilitates that for young adults and their fathers, it also builds a special bond with them. The only problem is that you need to be above 25 years to be eligible for the contest. However, ‘Date with dad’ has missed out on leveraging the reach of Twitter. For a Father’s Day campaign especially, Twitter could have played a major role in spreading the word through social connections. Apart from campaign promotions, the brand would need to work on its Twitter presence too. ‘Date with dad’ is a beautiful gesture by Johnnie Walker, one that could have created positive social buzz had its social media strategy been in place. What are your views? Correction: This review has been modified to include the brand’s Facebook activities that was missed upon earlier. The brand’s Facebook page had failed to open, as it has age restriction enabled.